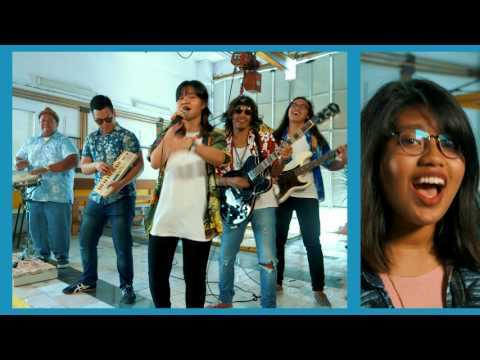 Formed in 2016, Retrofocus is an alternative pop band that gives music a fresh twist with their fusion of different genres accompanied by groovy rhythms and catchy melodies. Influenced by jazz fusion, funk and dance music, Retrofocus aims to redefine modern day pop into a fusion of genres and bring a new feel to the music industry. Following their debut single ‘Hands Around’ released in February 2017, alternative pop act Retrofocus has returned with their debut EP Retrofocus, including upbeat tunes such as ‘Morning Light’ and a slow number ‘Happy Tune’. The EP is composed and written by Juan Ezwan and Jordana Jewel. Mixed and mastered by Shorya Sharma at AOR Studios, Retrofocus is produced by Jai Dzafir and co-produced by Juan Ezwan. Find the album on iTunes and Spotify.